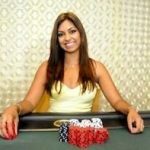 The Mid-States Poker Tour (MSPT) just wrapped up its first Season 8 stop at Golden Gates Casino in Black Hawk Colorado. 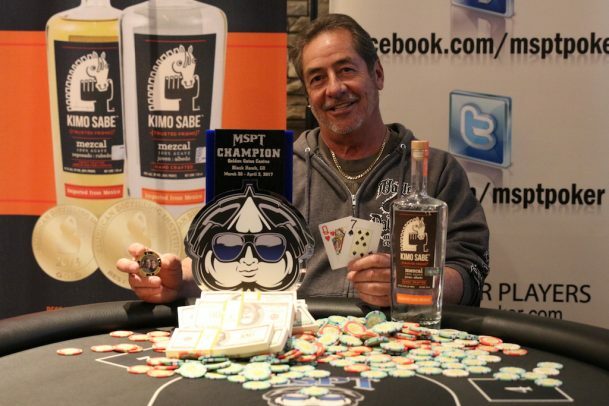 The $1,100 Main Event drew 472 entries and saw 61-year-old Fred Garcia emerge victorious to capture a $109,881 first-place prize. A week before that, Corey Zedo took down the $360 Regional Event for $47,420 after a heads-up chop with Drew Schulz. Garcia, who fired just one bullet into the tournament, spent 25 years working for the Colorado Department of Transportation. After retiring in 2009, he began spending more time riding motorcycles, dancing, and of course playing poker. Prior to the win, Garcia’s prior best cash was $11,667 for finishing 13th in a 2013 Heartland Poker Tour Golden Gates Main Event, and back in February he finished 27th in the same tournament for $7,288. This marked his first cash on the MSPT, which is coming off a record-setting Season 7. Garcia began heads-up play against Keith Block with a slight chip lead, but the two battled back and forth for well over an hour. In what would be the final hand of the tournament, the blinds were 80,000/160,000/20,000 when Garcia limped the button with the Q♥7♠ and Block checked his option holding the 3♦2♥. The 4♣5♥6♣ flop gave Block a straight, but Garcia held an open-ender. Block checked, Garcia bet 300,000, and Block check-raised to 775,000. Garcia made the call and then called a bet of 1.15 million when the Q♦ turn gave him top pair. The 8♥ peeled off on the river to give Garcia a bigger straight, and he quickly called after Block moved all in for his last 1.4 million. The MSPT $360 Regional Event, which took place the weekend before the Main, set a new Colorado record by attracting 893 entries, the largest poker tournament by attendance in state history. After two days of play, 34-year-old Corey Zedo emerged victorious to capture a $47,420 prize after a heads-up chop. It marked a career-high score for Zedo and brought his lifetime earnings up to $269,293. Zedo has cashed every season since the MSPT started coming to Golden Gates back in Season 5. In November 2015, Zedo finished 36th in the Main Event for $2,425, and a year after that he placed ninth in the same tournament for $9,893. 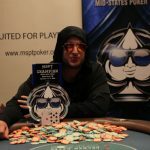 In April 2016, he notched his Season 7 cash by finishing 12th in the Main Event for $7,239, and his Regional win, which brought his total MSPT earnings up to $66,977, gave him his Season 8 cash. 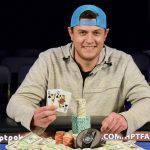 Others who cashed in the tournament include Sammy Aweida (5th – $11,788), Michael Wolf (18th – $2,143), World Series of Poker Colossus II champ Ben Keeline (28th – $1,366), Danny Gonzalez (45th for $1,125), 2015 WPT Bellagio Five Diamond champ Kevin “1$ickDisea$E”” Eyster (52nd for $991), and Kirk Miller (81st for $697). The MSPT will now head to Potawatomi Casino in Milwaukee Wisconsin for this weekend’s $1,100 buy-in, $200,000 guaranteed Main Event. Editor’s Note: CardsChat and MSPT share a cross-promotional alliance. Chad Holloway is Media Director for MSPT.